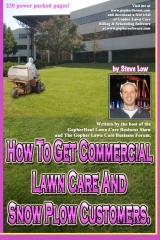 « Is $5 worth confronting a lawn care customer over? 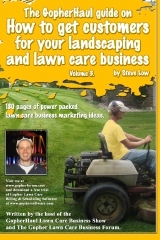 How my fall lawn care marketing strategy worked out. 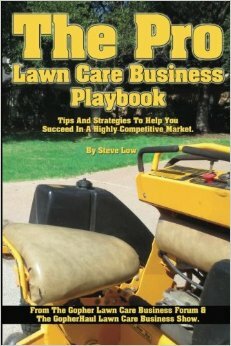 Have you ever wished you had a friend in the lawn care industry that would share with you how their fall lawn care marketing plan worked? How many pieces of marketing material they handed out and what kind of jobs resulted from it? 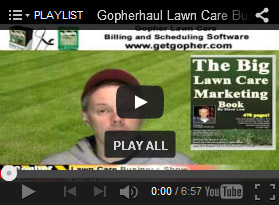 Well luckily you have the Gopher Lawn Care Business Forum as that friend. 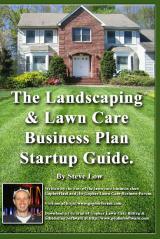 Here is a great insider look on how one entrepreneur was able to pick up fall leaf clean ups and also get clients signed up for mowing next year. 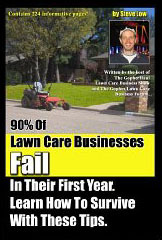 One lawn care business owner said “I recently made up a flyer and am hoping to pick up at least 10 new fall clean-up clients with it. I want to try and sign them all up for regular maintenance next year as well. Because I wanted to expand my service area, I decided to reach out to homeowners who live in the next town over. The only down side to this is I need some sort of license in that town to go door to door. So I printed 250 flyers and headed down to the municipal office to obtain the license. The area I want to hit with my marketing is a fairly upper class town so I assume that’s why a license is required. Once I get the license, I will start going door to door to hand out the flyers. I don’t think 250 flyers will be enough to get 10 clients, but I’ll print more when I run out. I tried to keep the design of my flyer very simple without any fluff or special offers. I noticed last year even though I offered discounts, most people didn’t even seem to notice them on the flyer. They just wanted their leaves picked up. I am estimating I will get about a 1%-3% response rate from the flyers. 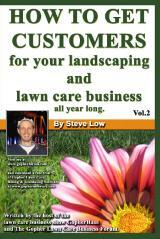 Last year I put out about 500 flyers and got around 10 new customers. When I put them out, I usually just drop them at the door in order to get as many out as possible. However, I have read a lot of guys actually knock on the doors and engage the resident face to face and that supposedly helps improve the results. 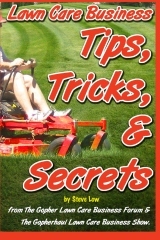 I may experiment a little and try to mix up my approach this year depending on the neighborhoods and the time of day. If I can consistently get at least 5 new customers out of 500 flyers, I’d be pretty happy. I think I can get 500 flyers out in less than an 8 hour day, so it’s worth it. Still though, word of mouth is the best advertising. Can’t beat it. No time or money involved. After talking with the town official, I found I needed a Mercantile License and it cost me $50. The town is pretty exclusive, so there are a lot of rules governing flyer handouts. For instance, in order to advertise there, I must knock on the door and physically speak with someone if I want to leave them any literature. I am not allowed to just leave something on a doorstep. So in a way it’s good as it makes it tougher for competitors to do this. I’m going to have to get over my fear of door to door/face to face marketing. Also, the advertising can only take place during daylight hours (which is what I’d be doing anyway). After I filled out all the forms and paid my fee, I received my license in the mail a little over a week later. Reading through the license, I came to find that flyers aren’t permitted. 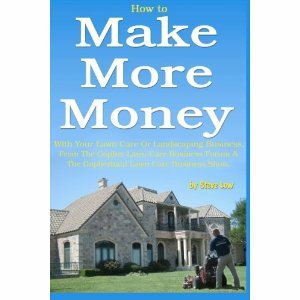 I will need to design and get brochures printed in order to be legal. That is not so bad as I figure for a more upper-class neighborhood, a more professional, detailed brochure will get a better response anyway. On top of everything I already mentioned, I also have to check in with the police department before I go out advertising. I’m guessing they’re going to ask in which neighborhoods I’ll be giving out flyers. While I waited for all of this legal stuff to come together, I handing out 250 flyers in the nicer blocks in my own town which doesn’t require a permit. From all that effort, I did one estimate last week that I’m still waiting for a reply on. I got a lot of calls this weekend from the flyers and that resulted in 4 more estimates to go on today and tomorrow and also some messages on my phone I haven’t been able to check yet. I really think the timing for this is of utmost importance. 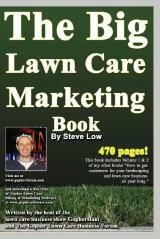 Putting out marketing material right as the leaves are about to start falling en masse seems to be working well so far. A week later I had about 8 new clean-ups to do, with a few more estimates this week. It’s tough to fit them in during the day because daylight is short and I’m trying to get all my clean-ups done for my regular customers, but it’s a good problem to have. It looks like I will meet my goal of 10 new clean-ups plus maybe a little extra. Also, 3 of the new clients have already signed on for weekly mowing service next year, and I’m hoping more will follow suit. I don’t do contracts yet, although I will be implementing that next season. 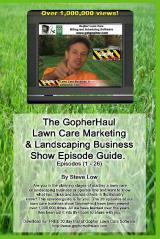 Basically every estimate I do, I make sure to let them know the other major services I provide before I do the job. It works well in the fall because their lawn is covered with leaves. 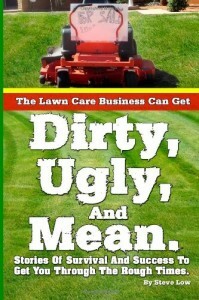 So once they see what the lawn looks like when I’m done, it has a big effect. It’s not easy to convince rational people to pay for something that they weren’t already considering buying. 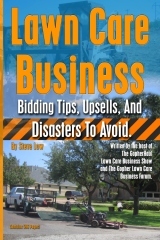 However, if they did have it in mind, the effect of seeing a very clean lawn after it was covered with debris has sealed the deal on several occasions for me. 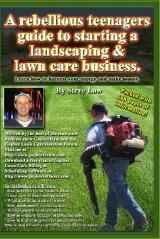 This entry was posted on Wednesday, July 29th, 2015 at 10:03 pm	and is filed under Fall Leaf Cleanups, Free Lawn Care Flyer Template, How to Estimate - Services To Offer, How to get, How to sell, Lawn Care Business, Lawn Care Customers, Lawn Care Marketing, Marketing, Residential Customers, door to door. You can follow any responses to this entry through the RSS 2.0 feed. You can leave a response, or trackback from your own site.